Ancasta International Boat Sales is not only Europe’s largest brokerage network, but we also sell new boats including some of the worlds most popular yacht and motor boat brands. We are proud to offer some of the very best careers in the marine industry so whatever your level of experience or specialist job discipline you’ll find that Ancasta is a business that encourages personal growth and helps put career development and excellence on everyone’s agenda. Ancasta International Boat Sales is part of the The Ancasta Group which also includes Hamble Yacht Services Refit & Repair and Advanced Rigging & Hydraulics. 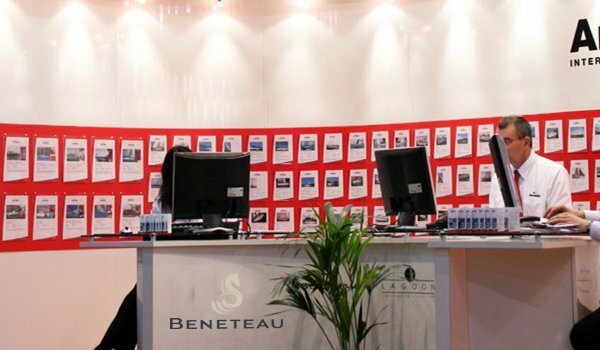 The Group employs over 100 people in the UK, France and Spain across 17 boat sales offices. Ancasta are currently recruiting a Yacht Broker in the Darthaven Office on the beautiful River Dart. See here for MORE DETAILS. Ancasta are also looking for an enthusiastic Yacht Broker based in the Port Hamble Office. For more details see HERE. If you should have an enquiry or if you wish to submit a CV, please contact: personnel@ancasta.com. Ancasta are recrutiing an Yacht Broker in the Darthaven Office located on the beautiful River Dart. Ancasta are searching for an enthusiastic yacht broker based in the busy Port Hamble Office.